, a French Jesuit, and confessor to Lewis XIII. was born at Troyes, in Champagne, in 1580, and entered into the order of Jesuits when he was twentysix years of age. 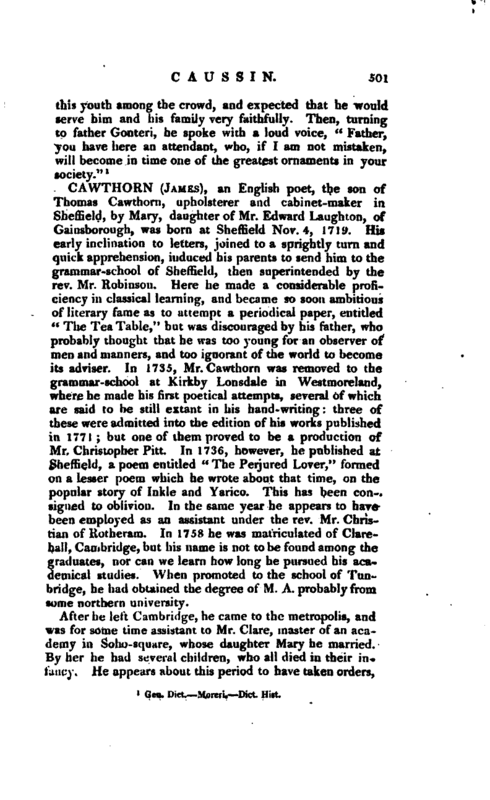 He taught rhetoric in several of their colleges; and afterwards began to preach, by which he gained very great reputation, and increased it not a little by his publications. At length he was preferred to bje confessor to the king; but, although pious and conscientious, did not discharge this office to the satisfaction of cardinal Richelieu, and the cardinal used every effort to get him removed. A little before his death, he is said to have delivered into the hands of a friend some original letters; from short extracts of which, since published, it appears that he "fell into disgrace because he would not reveal some things which he knew by the king’s confession; nor even take advice of his superiors how he was to behave himself in the direction of the king’s conscience, when he could not do it without breaking through the laws of confession. 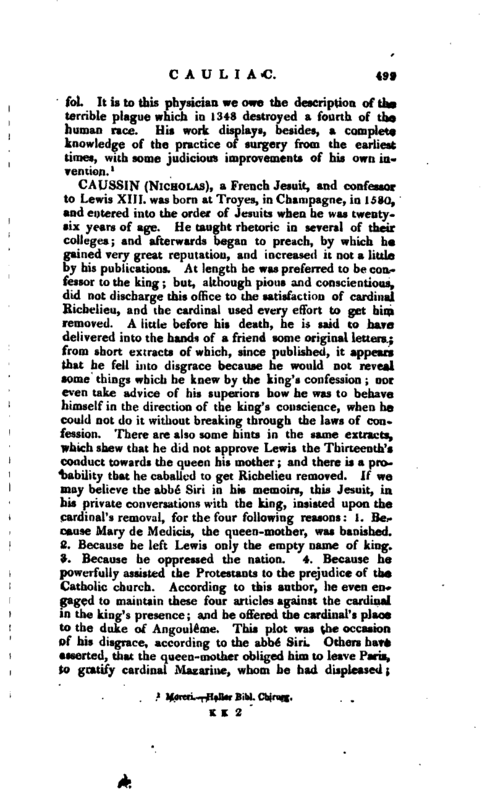 There are also some hints in the same extracts, which shew that he did not approve Lewis the Thirteenth’s conduct towards the queen his mother; and there is a probability that he caballed to get Richelieu removed. If we may believe the abbe Siri in his memoirs, this Jesuit, in his private conversations with the king, insisted upon the cardinal’s removal, for the four following reasons: 1. Because Mary de Meclicis, the queen-mother, was banished. 2. Because he left Lewis only the empty name of king. 3. Because he oppressed the nation. 4. Because he powerfully assisted the Protestants to the prejudice of the Catholic church. According to this author, he even engaged to maintain these four articles against the cardinal in the king’s presence; and he offered the cardinal’s place to the duke of Angouleme. This plot was the occasion of his disgrace, according to the abbe* Siri. Others have asserted, that the queen-mother obliged him to leave Paris, to gratify cardinal Mazarine, whom he had displeased; | and that his disgrace was occasioned by his Latin piece concerning the kingdom and bouse of God, published in 1650, in which be had freely spoken of the qualities with which princes ought to be adorned. It is certain, however, that he was deprived of his employment, and banished to a city of Lower Britanny. 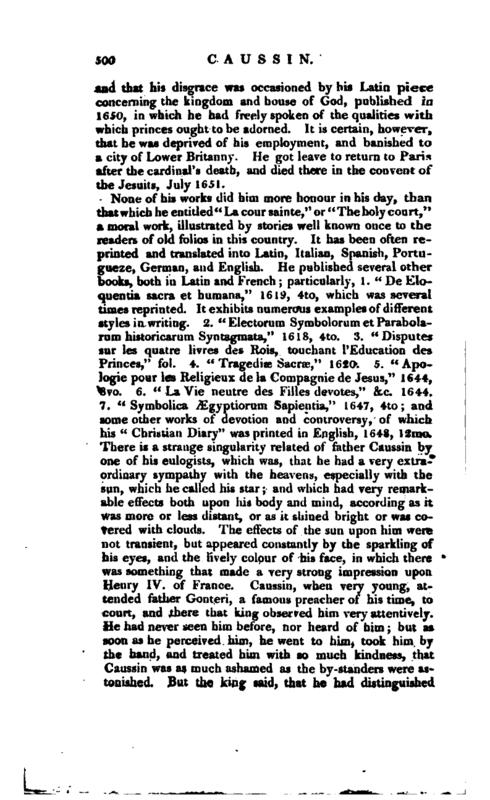 He got leave to return to Paris aftr the cardinal’s death, and died there in the convent oi the Jesuits, July 1651.